Reading opens up a completely different world to our kids. 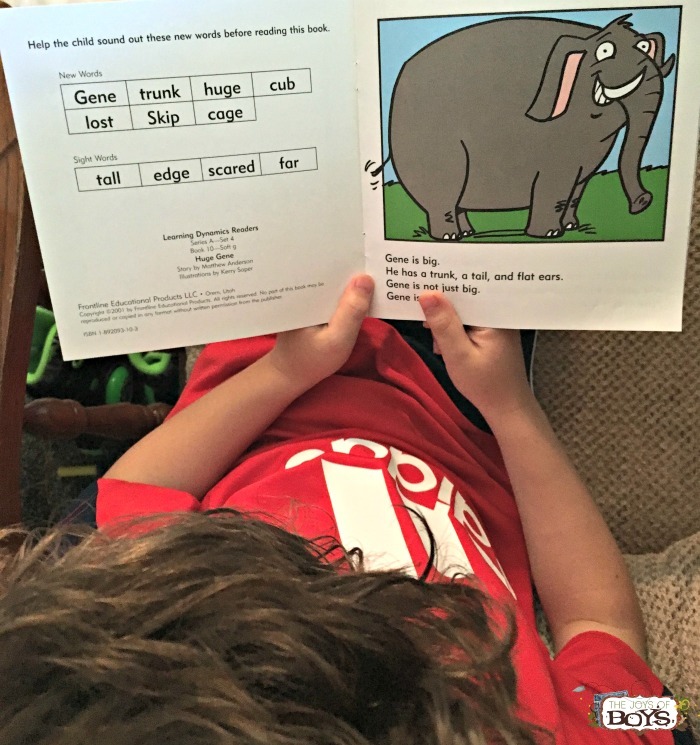 I have always taught my kids to read at home and when I heard there was a way to teach kids to read in 4 weeks, I knew I wanted to give it a try. 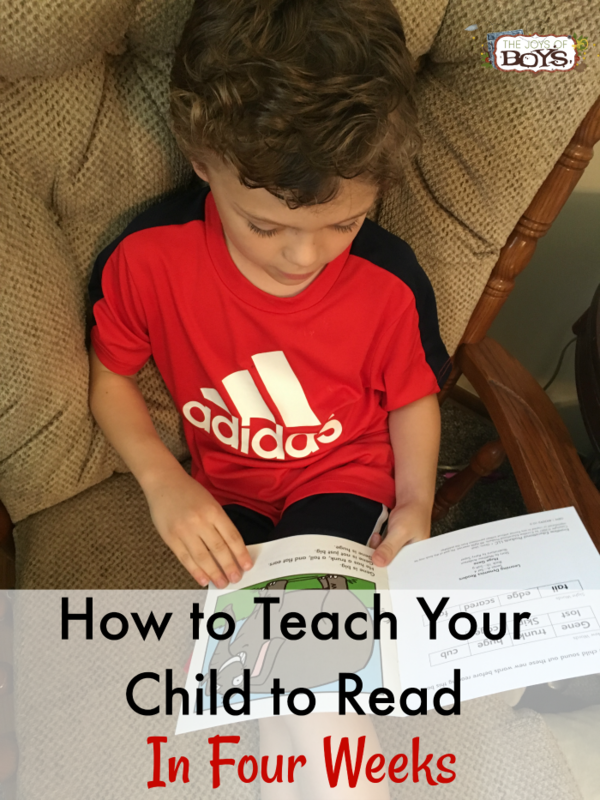 Today I’m sharing some tips on how to teach kids to read in just 4 weeks! Books have always been a huge part of my life. My grandma was a huge advocate for literacy and she gave us a new book for every birthday and Christmas. I have loved watching my boys gain a love of reading and have felt that it was my responsibility to teach them. We moved to new schools this year and I’ll be honest, I wasn’t thrilled with the way my kindergartener was being taught to read at school. One of the very first books he brought home was called “The Carpenter’s Tools”. Now, he already knew his letters and could put together simple words…but how on earth was he supposed to read words like “carpenter” and “screwdriver”? I know they were just supposed to look at the pictures and figure out what the word was supposed to be, but it was frustrating for him! He wanted to be able to read the words in the books he was bringing home. Most schools teach reading by going through the alphabet one letter at a time and the books that are sent home don’t necessarily correspond to the letters they are learning at school. So they become frustrated and reading seems too hard. But I found that there is a way to teach kids to read in a simple way that they can understand and get excited about. When my oldest son was young I remember going to the library and checking out an entire system that was supposed to help him learn to read. And then I battled to get him to sit still every day so we could work on it. He was frustrated. I was frustrated. It just didn’t work! I love that Learning Dynamics only asks you to work with your kids every other day and for only a few minutes. It had my son actually begging for more reading time! When we teach our kids letters but don’t give them words that actually use the letters they know, they become frustrated. Teach them a few letters that can be put together into simple words and then provide them with books that actually use those same letters. They will love that they can actually “read” from the start. Learning Dynamics is designed to teach a few letters at a time, then get the kids reading their first books. Why wait until they know ALL of their letters to get them reading. This was a huge boost for my son’s confidence since he saw that he could already ready a few words, even from the beginning of the program. This doesn’t have to be something big. Just a simple reward for mastering their letters or reading their books. You might not think that your child could get excited about a simple reward, but they most definitely can. Learning Dynamics has letter rewards that the kids get to earn when they have mastered a letter. Now that my son has learned all of his letters, he likes to earn them again for each book he reads. Once he earns them all, we do something fun together. 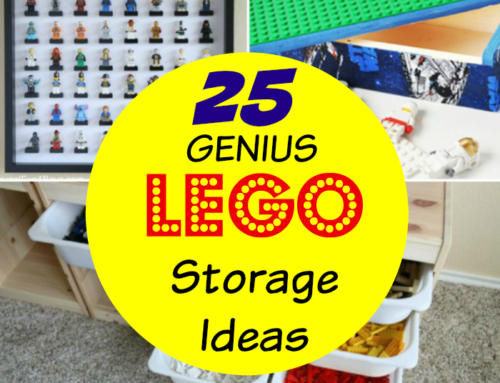 When kids have something fun to look forward to, they will WANT to learn. Once they have mastered a book, let them keep it! As their library of books they can read grows, they will be thrilled at their accomplishments. 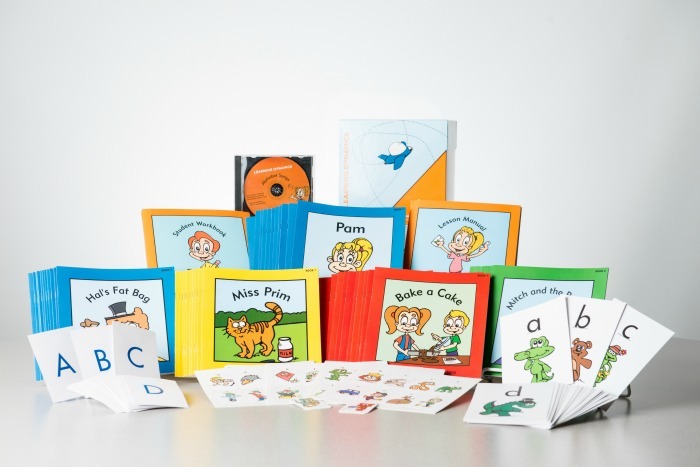 Learning Dynamics has several sets of books, workbooks, CDs and rewards that the children get to keep. 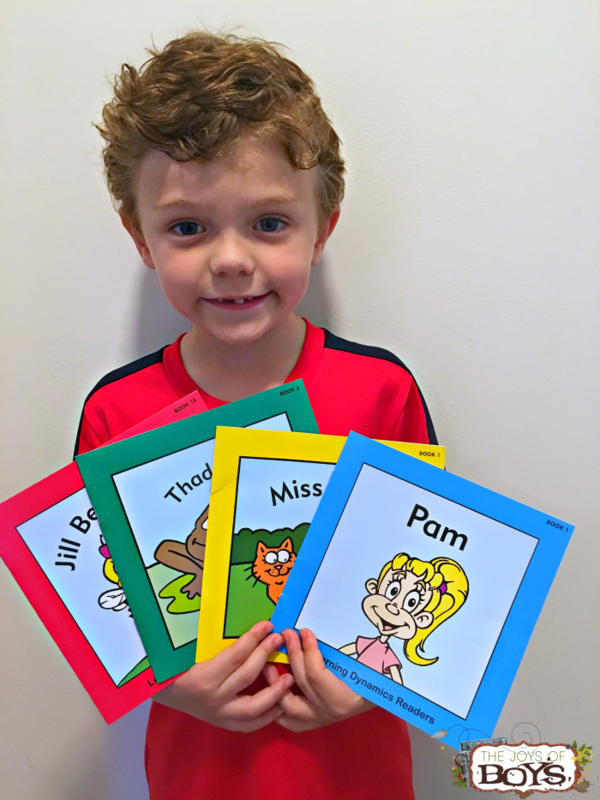 Learning Dynamics makes learning how to read easy and fun for kids. It builds up their self confidence and takes away some of the overwhelm that comes with learning to read. 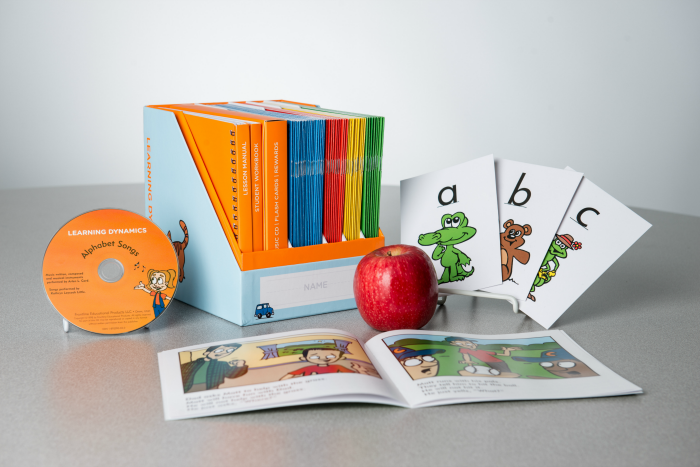 The Learning Dynamics Reading system is designed to hold your child’s interest while giving them a new concept right when they are ready for it. You challenge them with a new concept each lesson, then you help them succeed in understanding it, taking away the overwhelm and confusion. 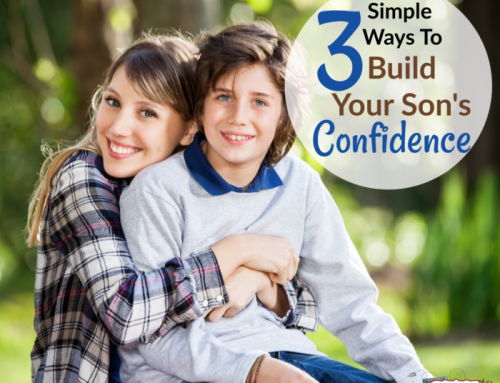 You can work at your child’s pace so that they never feel rushed and their confidence grows. When a concept is mastered, you reward them with the included prizes. In less than a month, my son had mastered all of the concepts in the Learning Dynamics program and was reading well above the rest of his Kindergarten class. It is as though a new world has been opened up to him as he can now read some of the fun books that he had been watching his brothers read over the years. And EXCITING NEWS! When you order Learning Dynamics, use Code joysofboys and get 10% off of your order. 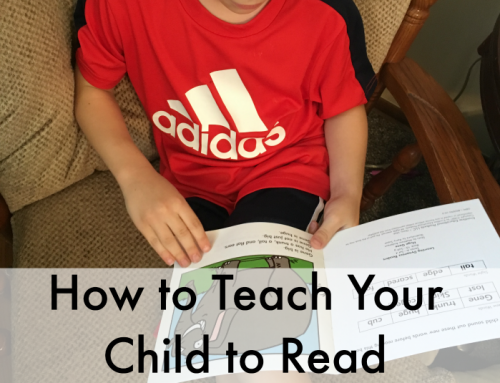 If you have been feeling guilty about trying to teach your kids to read, don’t! Given the right system and support, they will all read at their own time. YES! I WANT TO TEACH MY CHILD TO READ IN 4 WEEKS! Remember to use code joysofboys for 10% off!